Chris Neal signed for Shrewsbury Town from Preston North End in the summer of 2009 and immediately established himself as the club's first choice goalkeeper. 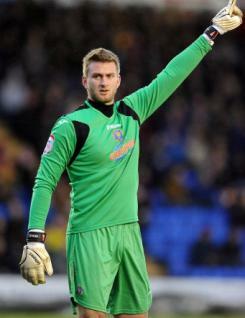 He made a solid start to his career with the Shrews having earlier spent time at the club on loan. He came off the bench in the third game of the 2010-11 season after Ben Smith went off injured, and played throughout the remainder of the first half of the campaign. As results dipped in January though, Chris lost his place in the line-up.